NEWPORT BEACH — The 34th annual Lido Yacht Expo, Sept. 27-30 at Lido Marina Village, will offer a rare, “up-close-and-personal” viewing opportunity, where show-goers can step aboard and compare the finest in luxury yachts — including cruiseworthy motoryachts, offshore sportfishers, sleek sailboats, long-range trawlers and head-turning sport yachts. With a well-earned reputation as the West’s ultimate “big boat” fall boat show, the Lido Yacht Expo is produced exclusively for the big boat market, featuring only boats 26 feet and larger. Some of the models to be showcased will be seen for the very first time at a boat show in Southern California or on the West Coast. In fact, the Lido Yacht Expo presents more big vessels in the water than any other West Coast event. Whether you’re a buyer, a seller or are simply evaluating the market, you’ll find that the Lido Yacht expo is the premier boat show for larger vessels. Southern California’s top boat dealers and yacht brokers will showcase more than 200 models at this year’s Lido Yacht Expo. 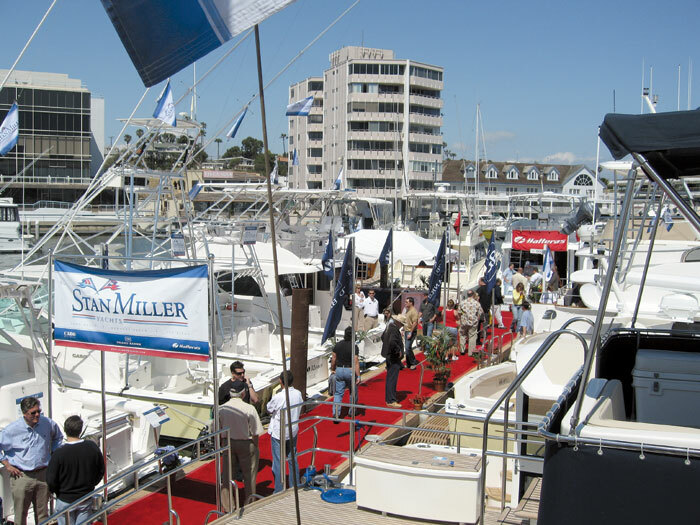 Along with the larger yachts, show-goers will find a big selection of 35- to 65-footers on display, plus, the latest must-have marine accessories, boating gear, advanced electronics, engines, generators and essential yacht services — including marine financing and insurance. At the Lido Yacht Expo, you’ll find the West’s best selection of new and ocean-tested yachts — offered at extremely attractive boat show prices. And you can finance and insure your purchase right on the spot. Show hours — rain or shine — are noon to 7 p.m. Thursday; 10 a.m. to 7 p.m. Friday; 10 a.m. to 7 p.m. Saturday; and 10 a.m. to 5 p.m. Sunday. Admission is $15 for adults and free for children 12 and younger. There’s free parking and a continuous shuttle — and guest docks are available for show attendees’ vessels up to 21 feet. For the most up-to-date list of exhibitors and additional information regarding the Lido Yacht Expo, call the show producer — the Duncan McIntosh Co. — at (949) 757-5959 or visit lidoyachtexpo.com.